This photo was taken on January 20, 2018 in Negombo, Western, LK, using a Canon IXUS 210. Sri Lanka Transport Board (SLTB) Super Luxury Tourist Transport Service, YUTONG ZK6930H Luxury bus (SLTTS 66 / NB-7611) at Negombo. Allocated for the expressway services between Galle and Kaduwela. -- ශ්‍රී ලංකා ගමනාගමන මණ්ඩලයේ (ශ්‍රී ලං.ග.ම.) අධි සුඛෝපභෝගී සංචාරක ප්‍රවාහන සේවයට අයත් YUTONG ZK6930H වර්ගයේ සුඛෝපභෝගී බස් රථයක් මීගමුවේ දී. රථය කොළඹ හා මීගමුව අතර අධිවේගී මාර්ග සේවාවන් සඳහා යොදවා තිබුණි. පොදු රාජ්‍ය මණ්ඩලීය රාජ්‍ය නායක සමුළුව වෙනුවෙන් විශේෂයෙන් චීනයෙන් ආනයනය කර, පසුව ශ්‍රී ලංගම වෙත ලැබුණු බස් රථයකි. This photo was taken on March 01, 2018 in Nuwara-Eliya, Central, LK, using a Canon SX420 IS. Sri Lanka Transport Board (SLTB) Nuwara-Eliya depot, Ashok Leyland Viking Turbo 54 seater bus bus (NE 35 / NB-1157) at the Nuwara-Eliya bus stand. Acquired to the depot in 2011 under a leasing scheme. -- ශ්‍රී ලංකා ගමනාගමන මණ්ඩලයේ (ශ්‍රී ලං.ග.ම.) නුවරඑළිය ඩිපෝවට, උපයා ගෙවීමේ පදනම මත 2011 වසරේ මිලදී ගත් අශෝක් ලේලන්ඩ් වයිකින්ග් ටර්බෝ වර්ගයේ ආසන 54 බස් රථයක් නුවරඑළිය බස් නැවතුමේ දී. ඡායාරූපය ලබාගන්නා අවස්ථාවේ රථය මාර්ග අංක 47 යටතේ නුවරඑළියේ සිට වැලිමඩ බලා ධාවනය ආරම්භ කර තිබුණි. Pundaluoya SLTB bus stand in January 2019. -- පුඬළුඔය ශ්‍රී ලං.ග.ම. බස් නැවතුම්පොළේ නවතා ඇති කොත්මලේ ඩිපෝවට අයත් බස් රථ 2019 වසරේ ජනවාරි මස 30 වන දින. This photo was taken on September 23, 2017 in Jaffna, Nothern, LK, using a Canon IXUS 210. 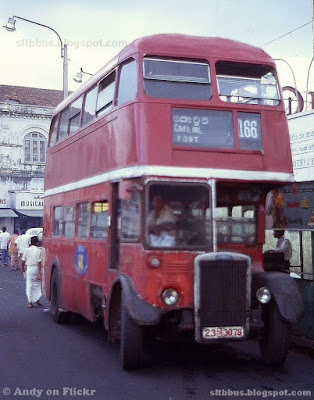 Sri Lanka Transport Board (SLTB) Jaffna depot, TVS bodied Ashok Leyland Comet Minor bus (JF 33 / GE-3878) at the Jaffna central bus stand. It's awaiting to leave for Urumpirai under the route number 764. -- ශ්‍රී ලංකා ගමනාගමන මණ්ඩලයේ (ශ්‍රී ලං.ග.ම.) යාපනය ඩිපෝව යටතේ ධාවනය වන TVS බඳ සහිත අශෝක් ලේලන්ඩ් කොමට් මයිනර් වර්ගයේ බස් රථයක් යාපනය බස් නැවතුම්පොළේ දී. සම්පුර්ණයෙන්ම ඉන්දියාවේ නිපදවා ඇති මෙම බස් රථය 2000 වසරේ එවකට පොකුරු බස් සමාගම් යටතේ ධාවනයට එක්වී ඇත. ඡායාරූප ලබාගන්නා අවස්ථාවේ මාර්ග අංක 764 යටතේ යාපනය හා උරුම්පිරෙයි අතර ධාවනයට යොදවා තිබුණි. This photo was taken on March 19, 2019 in Monaragala, Uva, LK, using a Canon SX420 IS. Sri Lanka Transport Board (SLTB) Mahiyangana depot, TATA LP 1210/36 breakdown service vehicle (30ශ්‍රී8007) in the depot premises. -- ශ්‍රී ලංකා ගමනාගමන මණ්ඩලයේ (ශ්‍රී ලං.ග.ම.) මොණරාගල ඩිපෝවට අයත්, ටාටා LP 1210/36 වර්ගයේ ඉංජිනේරු සේවා රථයක් ඩිපෝ පරිශ්‍රයේ දී. ශ්‍රීලංගම බඳ සහිත බස් රථයක් රථයක්, මෙලෙස ඉංජිනේරු සේවා රථයක් ලෙස පරිවර්ථනය කර ඇති අතර පසුකාලීනව මෙලෙස ලටෙක් බසයකින් සපයා ගත් මුහුණතක් බද්ධ කොට ඇත. රථය 1984 වසරේ ශ්‍රීලංගම කැප්පෙටිපොළ ඩිපෝව යටතේ ධාවනයට එක් වී ඇත. Sri Lanka Transport Board (SLTB) Hatton depot, Ruby bodied TATA LP 1510/52 bus (NA-0970) at the Hatton bus stand. -- ශ්‍රී ලංකා ගමනාගමන මණ්ඩලයේ (ශ්‍රී ලං.ග.ම.) හැටන් ඩිපෝවට අයත්, රුබී බඳ සහිත ටාටා LP 1510/52 වර්ගයේ බස් රථයක් හැටන් බස් නැවතුමේ දී. සම්පූර්ණයෙන්ම ඉන්දියාවේ නිමවා ඇති රථය 2005 වසරේ ධාවනයට එක් වී ඇති අතර ශ්‍රී ලංගම යලි පිහිටුවීමෙන් පසු ලැබුණු ප්‍රථම ටාටා බස් කාණ්ඩය වන්නේ මෙවාය. රථය ලක්‍ෂපාන හා හැටන් අතර ධාවනයට යොදවා තිබුණි.